How many trucks can park here? 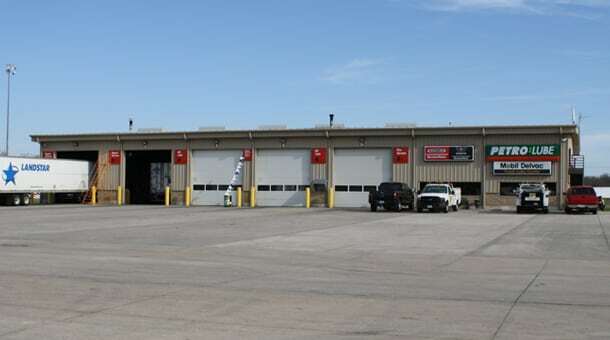 We have 475 truck parking spaces available. Is my pet allowed in the Truckstop? Pets are not allowed inside the Truckstop. Service animals are welcome. 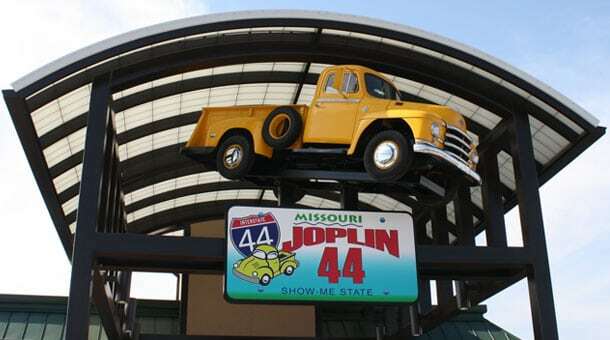 We have RV parking located by our gas islands near the entrance of the main Joplin 44 building. – this might change with the gas island relocation. Yes, we are open 24 hours a day, 7 days a week, 365 days a year. Holidays, snow days, you name it, we’re open. Unfortunately we do not have any wheelchairs available for you to use during your visit. Am I allowed to leave my car if I meet a friend? If you do need to leave your vehicle to meet a friend, we request that you park it in the lot outside our gift store entrance, farthest from the building and let our gift store know if you are leaving it for more than 24 hours. What should I do if I have an experience I'd like to share? Fill out a testimonial form, you can find it right here! 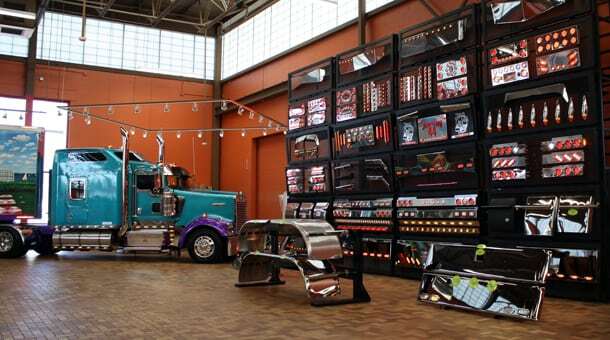 How big is the Super Truck Showroom? How big is the Truckstop? Our main building is nearly 75,000 square feet. How many items do you have in the Truckstop? We carry over 50,000 items in our store. How many people come to the Truckstop weekly? We currently serve an average of 25,000 customers per week! Do you rent golf carts or scooters? Golf carts and scooters are not available for rent on-site. The Jamboree is a Free event. Where can I stay while attending the Jamboree? We recommend staying at the Sleep Inn that is right on our property. Click here for more information. Do we need a ticket for the concerts? No ticket is needed. All concerts are FREE. Does the Truckstop have wheelchairs/golf carts available for rent during the event? Unfortunately we do not have wheelchairs nor golf carts available to rent during the event. Do I need a ticket to enter the Jamboree? No ticket is needed. Look for the big tent and come join the fun! Can I use the private showers if I’m not a truck driver? Everyone can use our showers. If you are not a driver, stop at the gift store register to purchase a shower ticket. Yes the Joplin 44 offers free WiFi. Look for Joplinfree wifi from your phone, computer or tablet. Can we return products from another Iowa 80 Group location to Joplin 44 Petro? You will need to contact our staff before returning a product. 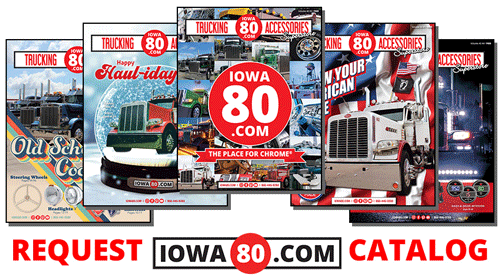 Can I get a catalog of trucking accessories from Iowa 80? Yes we offer a chrome accessories catalog. You can sign up for one here! Yes, please call us at 417-624-3400 or visit the Gift Store cashier. How do I purchase an item I saw at Joplin 44 Petro but forgot to bring home with me? If you forgot a chrome accessory, please check out IOWA80.com. If it was a gift item, please give us a call and ask to speak with the gifts manager. Joplin 44 Petro is a really neat place. I'm moving to the area, how do I get a job here?